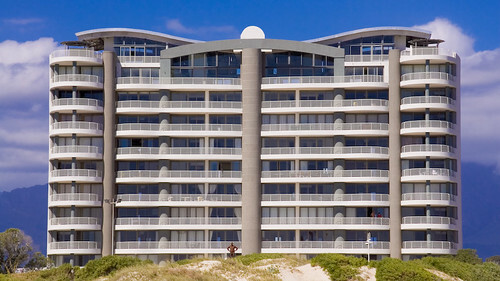 This is one of the new apartment buildings along the beachfront in Strand. The statue in front is a slightly larger than life size image of a naked man. When it was erected it caused an outcry from the more conservative elements of the community.